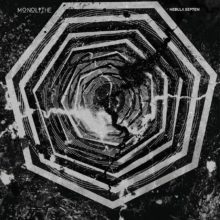 MONOLITHE’s Dark Doom Metal, grandiose, epic and transcendental, needs to be lived more than listened to. The band initiated a series of 50 minutes, single-track albums which would later become one of the band’s trademarks.  “Monolithe I”, “Monolithe II”, “Monolithe III” and “Monolithe IV”, released over the years, met with universal acclaim, as well as the ambitious, three-tracks twin albums, 2015’s “Epsilon Aurigae” and 2016’s “Zeta Reticuli”. MONOLITHE’s music mixes heaviness, mysticism and complex structures tinged with hints of progressive flair. The year 2017 has been fulfilled with the recording of a brand new, seventh album, called “Nebula Septem”, which release has been set on January 26th 2018. With, “Nebula Septem”, MONOLITHE pushes once again the boundaries of the Doom Metal genre, exploring the mysterious theme of extra-terrestrial life on the 7 gems featuring on the record. About Nebula Septem: 7 musicians gathered to record the 7-minutes songs to feature on MONOLITHE’s new and upcoming 7th opus – NEBULA SEPTEM. Once again, the french explorers of the realms of Dark and Doom Metal have cooked an ambitious concept ; On the album, the tonality of each song is one of the 7 notes of the western scale, the first letter of the songs’ titles is one of the 7 first letters of the alphabet ; It is also the tonality of each song – from A to G. Song lyrics develop science-fiction stories mainly focused on extra-terrestrial life, while the music – both reminiscent of the band’s usual touch and oriented towards evolution, is filled with new influences and a rejuvenating approach. Music and Lyrics by Sylvain Bégot (except for « Delta Scuti » for which the music is composed by Sylvain Bégot & Rémi Brochard). Drums and vocals recorded at Hybreed Studio, France. Guitars and bass recorded at Red Reed Studio, France. Mix and mastering by Jari Lindholm, Stockholm, Sweden. “MONOLITHE starts it collaboration with Les Acteurs de L’Ombre Production under the guidance of the number 7 : place of the opus in the bands discography, number of musicians who worked on this projects, number and duration of tracks, first letters and tonality of each track. A meticulous heptagonal cutting by which the Francilian band pushes the boundaries of dark metal / doom. Nebula Septem appears as an enormous figure from the future, leaving no place for escape. A space ship build under stellar winds filled with hierarchic riffs, hammered under the vortex of wide melodies, spreading its layers of keyboard into the darkness, between the stars. We board for a cosmic odyssey, the rhythm is solemnity given by drums and guided by a majestically oppressive singing.